The historiography of the United States refers to the studies, sources, critical methods and interpretations used by scholars to study the history of the United States. While history examines the interplay of events in the past, historiography examines the secondary sources written by historians as books and articles, evaluates the primary sources they use, and provides a critical examination of the methodology of historical study. 14 Prominent historians working in the U.S. Historians have formed scores of scholarly organizations, which typically hold annual conferences where scholarly papers are presented, and which publish scholarly journals. In addition, every state and many localities have their own historical societies, focused on their own histories and sources. The American Historical Association (AHA) is the oldest and largest society for professional historians in the U.S. Founded in 1884, it promotes historical studies covering all continents and time periods, the teaching of history, and the preservation of and access to historical materials. It publishes The American Historical Review five times a year, with scholarly articles and book reviews. Other large regional groups for professionals include the Southern Historical Association, founded in 1934 for white historians teaching in the South. It now chiefly specializes in the history of the South. In 1970 it elected its first black president, John Hope Franklin. The Western History Association formed in 1961 to bring together both professional scholars and amateur writers dealing with the West. Dozens of other organizations deal in specialized topics, such as the Society for Military History and the Social Science History Association. During the colonial era, there were a handful of serious scholars—most of them men of affairs who wrote about their own colony. They included Robert Beverley (1673–1722) on Virginia, Thomas Hutchinson (1711–1780) on Massachusetts, and Samuel Smith on Pennsylvania. The Loyalist Thomas Jones (1731–1792) wrote on New York from exile. The historiography of the Early National period focused on the American Revolution and the Constitution. The first studies came from Federalist historians, such as Chief Justice John Marshall (1755–1835). Marshall wrote a well-received four-volume of biography of George Washington that was far more than a biography, and covered the political and military history of the Revolutionary Era. Marshall emphasized Washington's virtue and military prowess. Historians have complimented his highly accurate detail, but note that Marshall—like many early historians—relied heavily on the Annual Register, edited by Edmund Burke. Mercy Otis Warren (1728–1814) wrote her own history favoring the Jeffersonian perspective stressing natural rights and equality. She emphasized the dangers to republicanism emanating from Britain, and called for the subordination of passion to reason, and the subsuming of private selfishness in the general public good. David Ramsay (1749–1815), an important Patriot leader from South Carolina, wrote thorough, scholarly histories of his state and the early United States. Trained as a physician, he was a moderate Federalist in politics. Messer (2002) examines the transition in Ramsay's republican perspective from his History of the American Revolution (1789) and his biography of Washington (1807) to his more conservative History of the United States (3 vol. 1816–17), which was part of his 12-volume world history. Ramsay called on citizens to demonstrate republican virtues in helping reform and improve society. A conservative, he warned of the dangers of zealotry and the need to preserve existing institutions. O'Brien (1994) says Ramsay's 1789 History of the American Revolution was one of the earliest and most successful histories. It located American values within the European Enlightenment. Ramsay had no brief for what later was known as American exceptionalism, holding that the destiny of the new nation United States would be congruent with European political and cultural development. Richard Hildreth (1807–1865), a Yankee scholar and political writer, wrote a thorough highly precise history of the nation down to 1820. His six-volume History of the United States (1849–52) was dry and heavily factual—he rarely made a mistake in terms of names, dates, events and speeches. His Federalist views and dry style lost market share to George Bancroft's more exuberant and democratic tomes. Hildreth explicitly favored the Federalist Party and denigrated the Jeffersonians. He was an active political commentator and leading anti-slavery intellectual, so President Lincoln gave him a choice diplomatic assignment in Europe. 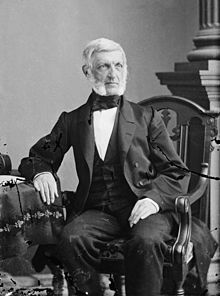 George Bancroft (1800–1891), trained in the leading German universities, was a Democratic politician and accomplished scholar, whose magisterial History of the United States, from the Discovery of the American Continent covered the new nation in depth down to 1789. Bancroft was imbued with the spirit of Romanticism, emphasizing the emergence of nationalism and republican values, and rooting on every page for the Patriots. His masterwork started appearing in 1834, and he constantly revised it in numerous editions. Along with John Gorham Palfrey (1796–1881), he wrote the most comprehensive history of colonial America. Billias argues Bancroft played on four recurring themes to explain how America developed its unique values: providence, progress, patria, and pan-democracy. "Providence" meant that destiny depended more on God than on human will. The idea of "progress" indicated that through continuous reform a better society was possible. "Patria" (love of country) was deserved because America's spreading influence would bring liberty and freedom to more and more of the world. "Pan-democracy" meant the nation-state was central to the drama, not specific heroes or villains. In 1791 the Massachusetts Historical Society became the nation's first state historical society; it was a private association of well-to-do individuals with sufficient leisure, interest, and resources for the society to prosper. It set a model that every state followed, although usually with a more popular base and state funding. Archivist Elizabeth Kaplan argues the founding of a historical society begins an upward spiral with each advance legitimizing the next. Collections are gathered that support publication of documents and histories. These publications in turn give the society and its topic legitimacy and authenticity. The process creates a sense of identity and belonging. The builders of state historical societies and archives in the late 19th and early 20th century were more than antiquarians—they had the mission of creating as well as preserving and disseminating the collective memories of their communities. The largest and most professional collections were built at the State Historical Society of Wisconsin in Madison by Lyman Draper (1852–1887) and Reuben Gold Thwaites (1887–1913). Their massive collection of books and documents became (and remain) a major scholarly resource for the graduate program in history at the University of Wisconsin. Thwaites disseminated materials nationally through his edited series, especially Jesuit Relations' in 73 volumes, Early Western Travels in 32 volumes, and Original Journals of the Lewis and Clark Expedition in eight volumes, among others. At the national level, major efforts to collect and publish important documents from the revolutionary era were undertaken by Jonathan Elliott (1784–1846), Jared Sparks (1789–1866), Peter Force (1790–1868) and other editors. The military history of the Civil War especially fascinated Americans, and the War Department compiled and published a massive collection of original documents that continues to be heavily used by scholars. The Official Records of the War of the Rebellion appeared in 128 large volumes published between 1881 and 1901. It included military and naval records from both sides, as well as important documents from state and national governments. While most historians saw the colonial era as a prelude to the Revolution, by the 1890s the "Imperial School" was interpreting it as an expression of the British Empire. The leaders included Herbert L. Osgood, George Louis Beer, Charles M. Andrews and Lawrence Henry Gipson. Andrews, based at Yale, was the most influential. They took a highly favorable view of the benefits achieved by the economic integration of the Empire. The school practically died out by 1940, but Gipson published his fifteen-volume history of The British Empire Before the American Revolution (1936–70) and won the 1962 Pulitzer Prize in History. Progressive historians such as Carl L. Becker, Arthur M. Schlesinger, Sr., Vernon L. Parrington, and Charles A. Beard downplayed the Patriot grievances of the 1760s and 1770s as rhetorical exercises that covered the greed of smugglers and merchants who wanted to avoid taxes. Schlesinger argued the false propaganda was effective: "The stigmatizing of British policy as 'tyranny,' 'oppression' and 'slavery, had little or no objective reality, at least prior to the Intolerable Acts but ceaseless repetition of the charge kept emotions at fever pitch." The Progressive interpretation was dominant before 1960, as historians downplayed rhetoric as superficial and looked for economic motivations. In the 1960s and 1970s, a new interpretation emerged that emphasized the primacy of ideas as motivating forces in history (rather than material self-interest). Bernard Bailyn, Gordon Wood from Harvard formed the "Cambridge School"; at Washington University the "St. Louis School" was led by J.G.A. Pocock. They emphasized slightly different approaches to republicanism. The Whig canon and the neo-Harringtonians, John Milton, James Harrington and Sidney, Trenchard, Gordon and Bolingbroke, together with the Greek, Roman, and Renaissance masters of the tradition as far as Montesquieu, formed the authoritative literature of this culture; and its values and concepts were those with which we have grown familiar: a civic and patriot ideal in which the personality was founded in property, perfected in citizenship but perpetually threatened by corruption; government figuring paradoxically as the principal source of corruption and operating through such means as patronage, faction, standing armies (opposed to the ideal of the militia); established churches (opposed to the Puritan and deist modes of American religion); and the promotion of a monied interest—though the formulation of this last concept was somewhat hindered by the keen desire for readily available paper credit common in colonies of settlement. Revolutionary Republicanism was centered on limiting corruption and greed. Virtue was of the utmost importance for citizens and representatives. Revolutionaries took a lesson from ancient Rome, they knew it was necessary to avoid the luxury that had destroyed the Empire. A virtuous citizen was one that ignored monetary compensation and made a commitment to resist and eradicate corruption. The Republic was sacred; therefore it is necessary to served the state in a truly representative way, ignoring self-interest and individual will. Republicanism required the service of those who were willing to give up their own interests for a common good. According to Bernard Bailyn, "The preservation of liberty rested on the ability of the people to maintain effective checks on wielders of power and hence in the last analysis rested on the vigilance and moral stamina of the people." Virtuous citizens needed to be strong defenders of liberty and challenge the corruption and greed in government. The duty of the virtuous citizen become a foundation for the American Revolution. Since the 1980s a major trend has been to locate the colonial and revolutionary eras in the wider context of Atlantic history, with emphasis on the multiple interactions among the Americas, Europe and Africa. Leading promoters include Bernard Bailyn at Harvard, and Jack P. Greene at Johns Hopkins University. The Frontier Thesis or Turner Thesis, is the argument advanced by historian Frederick Jackson Turner in 1893 that the origin of the distinctive egalitarian, democratic, aggressive, and innovative features of the American character has been the American frontier experience. He stressed the process—the moving frontier line—and the impact it had on pioneers going through the process. In the thesis, the frontier established liberty by releasing Americans from European mind-sets and ending prior customs of the 19th century. The Turner thesis came under attack from the "New Western Historians" after 1970 who wanted to limit western history to the western states, with a special emphasis on the 20th century, women and minorities. The overwhelming majority of members, at least five-sixths, were immediately, directly, and personally interested in the outcome of their labors at Philadelphia. Beard's most influential book, written with his wife Mary Beard, was the wide-ranging and bestselling The Rise of American Civilization (1927). It had a major influence on a generation of American historians. Prominent Beardian historians included C. Vann Woodward, Howard K. Beale, Fred Harvey Harrington, Jackson Turner Main, and Richard Hofstadter (in his early years) Similar to Beard in his economic interpretation, and almost as influential in the 1930s and 1940s was literary scholar Vernon Louis Parrington. Today Beard's reputation stands like an imposing ruin in the landscape of American historiography. What was once the grandest house in the province is now a ravaged survival. However the Wisconsin School of diplomatic history in the 1960s adopted a neo-Beardian model, as expressed at the University of Wisconsin by a number of scholars, most notably William Appleman Williams in The Tragedy of American Diplomacy (1959) but also Walter LaFeber in The New Empire (1963). The idea was that material advantage, especially foreign markets for surplus goods, was more of a motivating force among American decision-makers in foreign affairs than was spreading liberty to the world. Wisconsin School historians generally thought that it was possible to correct this decision-making emphasis on markets and doing so would make for a more effective American diplomacy. A different strain of historical thought in the 1960s was associated with the New Left and incorporated more radical interpretations of American diplomatic history. These scholars included Marxists such as Gabriel Kolko, who generally felt that there were fundamental structural causes, due to the needs of American capitalism, behind American foreign policy and that little could reverse that short of an outright remaking of the economic system. To replace Beardianism "consensus" historiography emerged in the late 1940s and 1950s, with such leaders,both liberal and conservative, as Prominent leaders included Richard Hofstadter, Louis Hartz, Daniel J. Boorstin and David M. Potter. Other prominent exemplars included Perry Miller, Clinton Rossiter, Henry Steele Commager, Allan Nevins and Edmund Morgan. Hofstadter's insight was that virtually all his subjects held essentially the same underlying beliefs. Instead of persistent conflict (whether between agrarians and industrialists, capital and labor, or Democrats and Republicans), American history was characterize by broad agreement on fundamentals, particularly the virtues of individual liberty, private property, and capitalist enterprise. According to historian David Rich Lewis, American popular histories, film and fiction have given enormous emphasis to the Indian wars. From a professional standpoint, he argues, "American Indian history has a venerable past and boasts a tremendous volume of scholarship judging by the published bibliographies." Lewis adds, "it has been difficult to distract academics or the public from the drama of Indian wars. Most of the older histories of Indians and the American West emphasized this warfare and the victimization of Indian peoples." After 1970 new ethnohistorical approaches appeared providing an anthropological perspective that deepened understanding of the Indian perspective. The new scholarly emphasis on victimization mentored by the 1980s scholars were dealing more harshly with the U.S. government's failures and emphasizing the impact of the wars on native peoples and their cultures. An influential book in popular history was Dee Brown's Bury My Heart at Wounded Knee (1970). In academic history, Francis Jennings's The Invasion of America: Indians, Colonialism, and the Cant of Conquest (New York: Norton, 1975) was notable for strong attacks on the Puritans and rejection of traditional portrayal of the wars between the indigenous peoples and colonists. Wes Brady, ex-slave, Marshall, Texas, 1937. This photograph was taken as part of the Federal Writers' Project Slave Narrative Collection. The history of slavery originally was the history of the government's laws and policies toward slavery, and the political debates about it. Black history was a specially promoted very largely at predominantly black colleges. The situation changed dramatically with the coming of the Civil Rights Movement of the 1950s. Attention shifted to the enslaved humans, the free blacks, and the struggles of the black community against adversity. Beginning in the 1930s and 1940s, historiography moved away from the "overt" racism of the Phillips era. Historians still emphasized the slave as an object. Whereas Phillips presented the slave as the object of benign attention by the owners, historians such as Kenneth Stampp emphasized the mistreatment and abuse of the slave. In the portrayal of the slave as victim, the historian Stanley M. Elkins in his 1959 work "Slavery: A Problem in American Institutional and Intellectual Life" compared the effects of United States slavery to that resulting from the brutality of the Nazi concentration camps. He stated the institution destroyed the will of the slave, creating an "emasculated, docile Sambo" who identified totally with the owner. Elkins' thesis was challenged by historians. Gradually historians recognized that in addition to the effects of the owner-slave relationship, slaves did not live in a "totally closed environment but rather in one that permitted the emergence of enormous variety and allowed slaves to pursue important relationships with persons other than their master, including those to be found in their families, churches and communities." In the 1970s and 1980s, historians made use of archaeological records, black folklore, and statistical data to describe a much more detailed and nuanced picture of slave life. 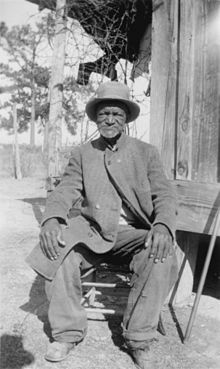 Relying also on 19th-century autobiographies of ex-slaves (known as slave narratives) and the WPA Slave Narrative Collection, a set of interviews conducted with former slave interviews in the 1930s by the Federal Writers' Project of the Franklin D. Roosevelt administration, historians described slavery as the slaves experienced it. Far from slaves' being strictly victims or content, historians showed slaves as both resilient and autonomous in many of their activities. Despite their exercise of autonomy and their efforts to make a life within slavery, current historians recognize the precariousness of the slave's situation. Slave children quickly learned that they were subject to the direction of both their parents and their owners. They saw their parents disciplined just as they came to realize that they also could be physically or verbally abused by their owners. Historians writing during this era include John Blassingame (Slave Community), Eugene Genovese (Roll, Jordan, Roll), Leslie Howard Owens (This Species of Property), and Herbert Gutman (The Black Family in Slavery and Freedom). The Civil War has generated an unusually large historiography. In terms of controversy, historians have long debated the causes of the war, and the relative importance given to nationalism and sectionalism, slavery, and economic issues. Nationalism dominated historiography from the late 19th century and the 1920s, especially as reflected in the work of James Ford Rhodes. In the 1920s, the Beardian school Identified an inevitable conflict between the plantation-based South and the industrial Northeast. When the agrarian Midwest sided with the Northeast, war resulted. In the 1930s, numerous arguments were made that the war was not inevitable, that was caused by a failure of the political system to reach a compromise. Since the 1960s, the emphasis has been very largely on slavery as the cause of the Civil War, with the anti-slavery element in the South committed to blocking the expansion of the slave system because it violated the rights of free white farmers and workers. Southerners responded to this as an intolerable attack on their honor, their economic needs for expansion, and the constitutional states' rights. Providing a sense of relief to white Southerners who feared being dishonored by defeat, the Lost Cause was largely accepted in the years following the war by white Americans who found it to be a useful tool in reconciling North and South. The Lost Cause belief has several historically inaccurate elements. These include claiming that the reason the Confederacy started the Civil War was to defend state's rights rather than to preserve slavery, or claiming that slavery was benevolent, rather than cruel. As soon as the "Cold War" began about 1947 the origins of the conflict between the Soviet Union and the West became a source of heated controversy among scholars and politicians. In particular, historians have sharply disagreed as to who was responsible for the breakdown of Soviet-U.S. relations after the Second World War; and whether the conflict between the two superpowers was inevitable, or could have been avoided. Historians have also disagreed on what exactly the Cold War was, what the sources of the conflict were, and how to disentangle patterns of action and reaction between the two sides. With the opening of the archives in Moscow and Eastern Europe after 1990, most of the pressing issues have been resolved. The "orthodox" school dominated American historiography from the 1940s until it was challenged by both Wisconsin School and New Left historians in the 1960s. The orthodox school places the responsibility for the Cold War on the Soviet Union and its expansion into Eastern Europe. Thomas A. Bailey, for example, argued in his 1950 America Faces Russia that the breakdown of postwar peace was the result of Soviet expansionism in the immediate postwar years. Bailey argued Stalin violated promises he had made at Yalta, imposed Soviet-dominated regimes on unwilling Eastern European populations, and conspired to spread communism throughout the world. America responded by drawing the line against Soviet aggression with the Truman Doctrine, and the Marshall Plan. The challengers, the "revisionist" school, were originally formed at the University of Wisconsin by William Appleman Williams. This strain of thought became most known via his The Tragedy of American Diplomacy (1959). Williams suggested America was just as bad as the Soviets because it had always been an empire-building nation, and forced capitalism upon unwilling nations. Revisionists emphasized Soviet weaknesses after 1945, said it only wanted a security zone, and was mostly responding to American provocations. The seminal "post-revisionist" accounts are by John Lewis Gaddis, starting with his The United States and the Origins of the Cold War, 1941–1947 (1972) and continuing through his study of George F. Kennan: An American Life (2011). Gaddis argued that neither side bore sole responsibility, as he emphasized the constraints imposed on American policymakers by domestic politics. Gaddis criticized revisionist scholars, particularly Williams, for failing to understand the role of Soviet policy in the origins of the Cold War. Ernest May concluded in 1984, "The United States and the Soviet Union were doomed to be antagonists. ... There probably was never any real possibility that the post-1945 relationship could be anything but hostility verging on conflict ... Traditions, belief systems, propinquity, and convenience ... all combined to stimulate antagonism, and almost no factor operated in either country to hold it back." Social history, often called the new social history, is the history of ordinary people and their strategies of coping with life. It includes topics like demography, women, family, and education. It was a major growth field in the 1960s and 1970s among scholars, and still is well represented in history departments. In two decades from 1975 to 1995, the proportion of professors of history in American universities identifying with social history rose from 31% to 41%, while the proportion of political historians fell from 40% to 30%. The Social Science History Association, formed in 1976, brings together scholars from numerous disciplines interested in social history and publishes Social Science History quarterly. The field is also the specialty of the Journal of Social History, edited since 1967 by Peter Stearns It covers such topics as gender relations; race in American history; the history of personal relationships; consumerism; sexuality; the social history of politics; crime and punishment, and history of the senses. Most of the major historical journals have coverage as well. Social history was practiced by local historians as well as scholars, especially the frontier historians who followed Frederick Jackson Turner, as well as urban historians who followed Arthur Schlesinger, Sr.. The "new" social history of the 1960s introduced demographic and quantitative techniques. However, after 1990 social history was increasingly challenged by cultural history, which emphasizes language and the importance of beliefs and assumptions and their causal role in group behavior. Women's history (and closely related topics in gender history) have become a major field since the 1970s. The work of women scholars was ignored by the heavily male-dominated history profession until the 1960s, when the first breakthroughs came. The field of women's history exploded dramatically after 1970, along with the growth of the new social history and the acceptance of women into graduate programs in history departments. An important development is to integrate women into the history of race and slavery. A pioneer effort was Deborah Gray White's Ar'n't I a Woman? Female Slaves in the Plantation South (1985), which helped to open up analysis of race, slavery, abolitionism and feminism, as well as resistance, power, and activism, and themes of violence, sexualities, and the body. A major trend in recent years has been to emphasize a global perspective. Urban history has long been practiced by amateurs who from the late 19th century have written detailed histories of their own cities. Academic interest began with Arthur Schlesinger, Sr. at Harvard in the 1920s, and his successor Oscar Handlin. The "new urban history" emerged in the 1960s as a branch of Social history seeking to understand the "city as process" and, through quantitative methods, to learn more about the inarticulate masses in the cities, as opposed to the mayors and elites. Much of the attention is devoted to individual behavior, and how the intermingling of classes and ethnic groups operated inside a particular city. Smaller cities are much easier to handle when it comes to tracking a sample of individuals over ten or 20 years. Rather than being strictly areas of geographical segmentation, spatial patterns and concepts of place reveal the struggles for power of various social groups, including gender, class, race, and ethnic identity. The spatial patterns of residential and business areas give individual cities their distinct identities and, considering the social aspects attendant to the patterns, create a more complete picture of how those cities evolved, shaping the lives of their citizens. Recent techniques include the use of historical GIS data. The great majority of leading scholars have been teachers at universities and colleges. However, professionalization and the academic advancement system gives priority to graduate-level research and publication, and to the teaching of advanced graduate students. Issues regarding the teaching at the undergraduate level or below have been promoted by the associations, but have not become main themes. American studies was seldom taught in Europe or Asia before the Second World War. Since then, American studies has had a limited appeal and typically involves a combination of American literature and some history. Europe's approach has been highly sensitive to the changes in the political climate. Prominent historians working in the U.S.
Research and teaching history in the United States has, of course, included the history of Europe and the rest of the world as well. So many topics are covered that is possible only to list some of the outstanding scholars. ^ Patrick Griffin, "In Retrospect: Lawrence Henry Gipson's The British Empire before the American Revolution" Reviews in American History, (2003) 31#2 pp: 171–183 in JSTOR. ^ Alison Games, "Atlantic History: Definitions, Challenges, and Opportunities," American Historical Review 2006 111#3 pp. 741-757 in JSTOR. ^ Charles Austin Beard (1921). An Economic Interpretation of the Constitution of the United States. Macmillan. p. 149. ^ Ninkovich, Frank (2006). "The United States and Imperialism". In Schulzinger, ed., Robert. A Companion to American Foreign Relations. Malden, Massachusetts: Blackwell Publishing. pp. 79–102. CS1 maint: Extra text: editors list (link) At p. 81. ^ a b c Brands, H. W. (2006). "Ideas and Foreign Affairs". In Schulzinger, ed., Robert. A Companion to American Foreign Relations. Malden, Massachusetts: Blackwell Publishing. pp. 1–14. CS1 maint: Extra text: editors list (link) At p. 7. ^ a b Morgan, James G. (2014). Into New Territory: American Historians and the Concept of American Imperialism. Madison: University of Wisconsin Press. pp. 172–176. ^ Eric Foner, "Introduction" to Richard Hofstadter (1944). Social Darwinism in American Thought. Beacon Press. p. xxi. ^ August Meier, August, and Elliott M. Rudwick, eds. Black history and the historical profession, 1915-80 (1986). ^ Peter Kolchin, American Slavery: 1619-1877 (1993) p 134. ^ James Oliver Horton; Lois E. Horton (2006). Slavery and the Making of America. Oxford University Press. p. 8. ^ Eric Foner (2013). Forever Free: The Story of Emancipation and Reconstruction. Knopf Doubleday. p. xxii. ^ Kolchin p. 135. David and Temin p. 741. The latter authors wrote, "The vantage point correspondingly shifted from that of the master to that of his slave. The reversal culminated in Kenneth M. Stampp's 'The Peculiar Institution' (1956), which rejected both the characterization of blacks as a biologically and culturally inferior, childlike people, and the depiction of the white planters as paternal Cavaliers coping with a vexing social problem that was not of their own making." ^ Robert E. Wright, Fubarnomics (Buffalo, N.Y.: Prometheus, 2010), 83-116. ^ Eric Foner, Free soil, free labor, free men: The ideology of the Republican party before the civil war(1971). The architects of the Lost Cause acted from various motives. They collectively sought to justify their own actions and allow themselves and other former Confederates to find something positive in all-encompassing failure. They also wanted to provide their children and future generations of white Southerners with a 'correct' narrative of the war. ^ Jonathan Nashel, "Cold War (1945–91): Changing Interpretations" The Oxford Companion to American Military History. John Whiteclay Chambers II, ed., Oxford University Press 1999. ^ Fred Halliday, "Cold War" in The Oxford Companion to the Politics of the World (2001), page 2e. ^ Robert H. Ferrell (1 May 2006). Harry S. Truman and the Cold War Revisionists. University of Missouri Press. ISBN 978-0-8262-6520-3. ^ (Ernest May, "The Cold War," in The Making of America's Soviet Policy, ed. Joseph S. Nye, Jr. (1984), p. 204. ^ Gary Kornblith and Carol Lasser, "More than Great White Men: A Century of Scholarship on American Social History," OAH Magazine of History (2007) 21#2 pp 8-13. ^ James Connolly, "Bringing the City Back in: Space and Place in the Urban History of the Gilded Age and Progressive Era," Journal of the Gilded Age and Progressive Era, (2002) 1#3 pp 258-278. Beisner, ed. Robert L. American Foreign Relations Since 1600: A Guide to the Literature (2 vol 2003) 2070pp; annotated guide to 16,000 books and articles, covering all major topics; each of 31 topical sections is introduced and edited by an expert. Joranger, Terje Mikael Hasle. "A Historiographical Perspective on the Social History of Immigration to and Ethnicity in the United States," Swedish-American Historical Quarterly (2009) 60#1 pp 5–24. This page was last edited on 7 March 2019, at 12:30 (UTC).